With fall around the corner it's time to start transitioning my summer wardrobe for cooler temps. 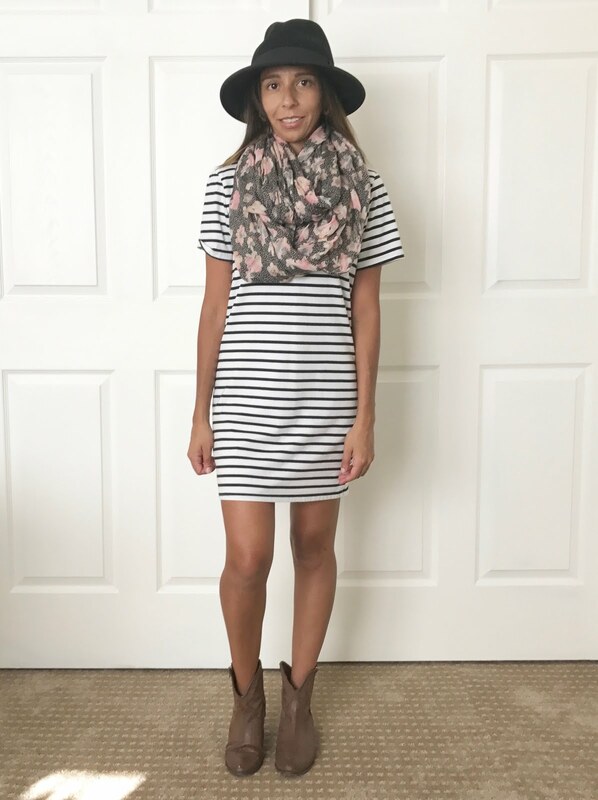 This black and white striped tee shirt dress is one of my favorites. 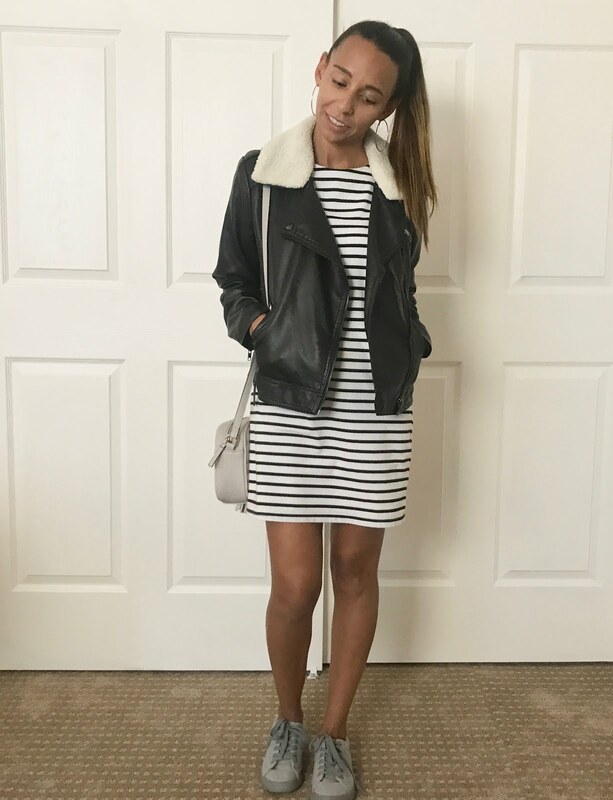 If you know me or have spent any amount of time with me you have probably seen me wearing this dress, often like the picture above and with my go to Nike's. The dress is over two years old and is still in great shape even though I wear it at least once every two weeks. It's boxy but still flattering and ends about two or three inches above me knees, a safe bend over zone without flashing those who don't want to be flashed. I've fall styled the dress four ways with a little description on how and when I'd wear the outfit. Feel free to comment, maybe you could see yourself in one of these looks. All items have been linked to the shopping source or to a similar shopping source. Dress, no make up, messy hair and flip flops. 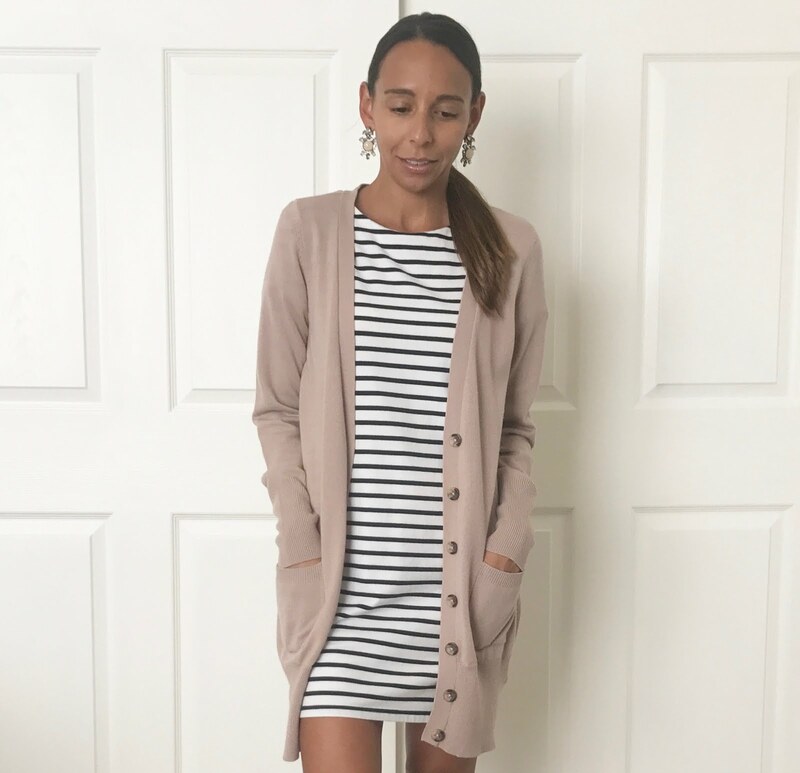 Dress, long cardigan (similar, similar) oxfords (similar, similar), earrings and lip gloss. 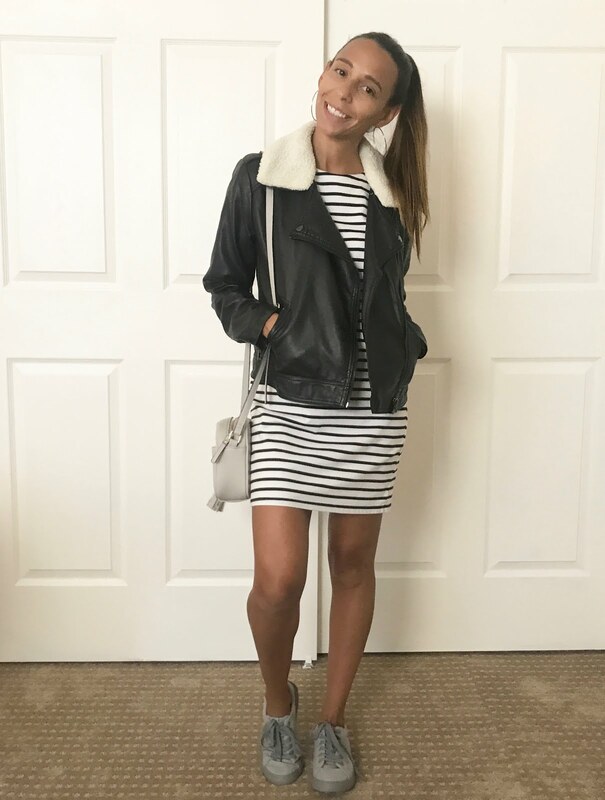 Dress, moto jacket (similar, similar) sneakers, crossbody bag and hoop earrings. Dress, drape front jacket (similar), lipstick, vintage earrings, heels and clutch. Thank you for stopping by and reading this post, I hope everyone has great Monday! Editors Note: Thank you to my amazing husband for taking these photos, the man is a rockstar.